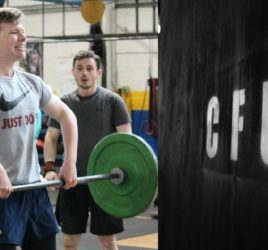 What are you wanting to achieve through CrossFit? 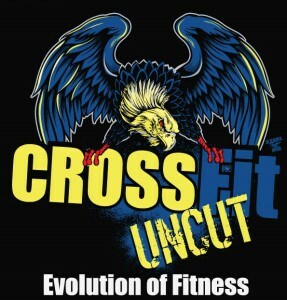 I think the thing about CrossFit is there are so many different goals that you can achieve. When I first came in my goal was just to get fit, but as I got fitter I realised there was different goals, such as getting unbanded pull ups, or being able to run 800 meters without being blown out. And I achieved a goal there a few weeks ago of banded muscle ups which I never thought in a million years I would be able to do. So I think there’s different goals coming each week with the fitter that you get. 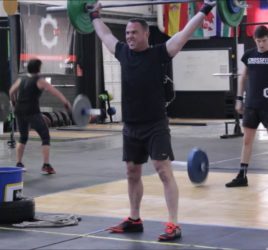 What were your first experiences of CrossFit like? So, my first experience of CrossFit was 100 burpees for time which nearly killed me, but I love that kind of adrenaline, cardio, just keep moving, kind of exercise so it got me hooked straight away, even though it sounds horrible. Just the community, and feeling that you get coming into the gym. Everyone is just so friendly and welcoming. And we were doing runs on that first day and people were just saying well done as you were running by which really just is so nice. How did you find the coaches and other members when you first joined? The coaches and members are just fantastic you know. Jeff was our first coach along with Becks and they were so helpful and they just gave you extra time coming in when there was new movements that you didn’t know. And the members are all so friendly, they always will say hello to you and get you included in the stretches or chats and it’s just so welcoming. Is there any advice you would give to someone who is on the fence about joining? I would say join, definitely. There’s something for everyone in CrossFit, like I said with you know achieving your own different goals or meeting new people that was the main reason we joined. 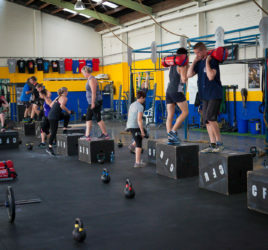 I moved over to New Zealand with my partner William we joined mainly to meet new people and that’s what we did and some of our best friends are here in the gym. So I would definitely say join! Member Spotlight Monday – Caoimhe Interview "There are so many different goals that you can achieve, when I first came in my goal was just to get fit but as I got fitter I realised there were different goals"
Complete the form below to claim your FREE Week of Fundamentals Classes.